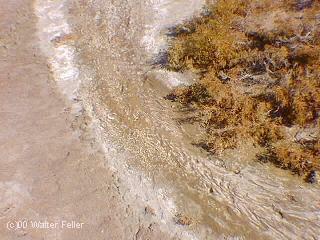 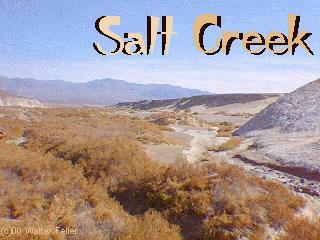 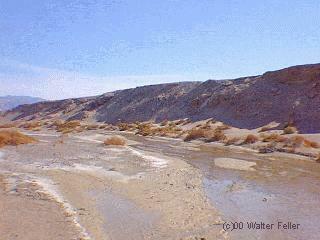 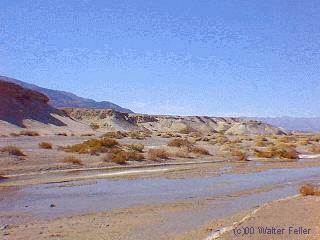 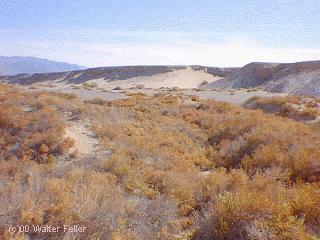 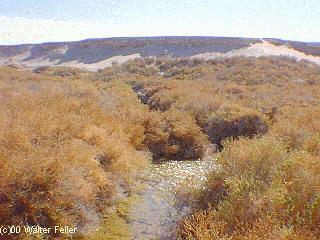 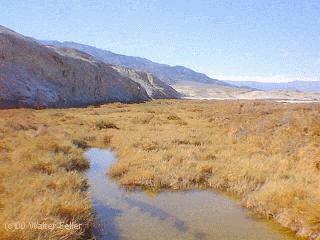 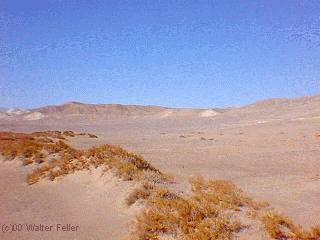 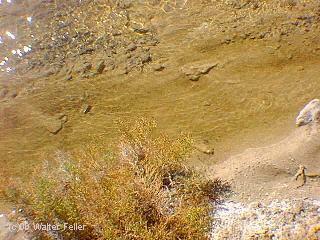 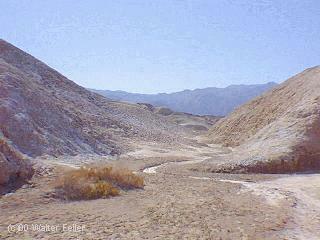 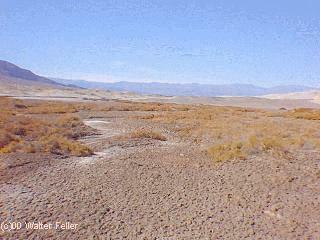 At the bottom of Cottonball Basin runs Salt Creek, home of the rare Salt Creek Pupfish. 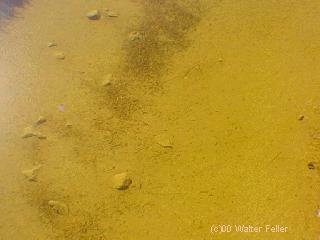 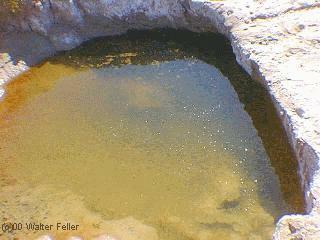 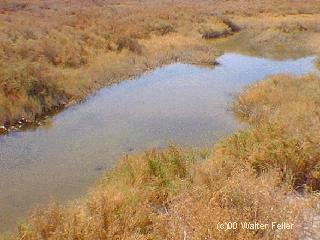 Pupfish are usually present in the spring and fall. 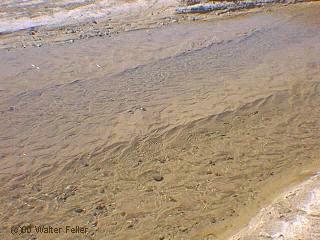 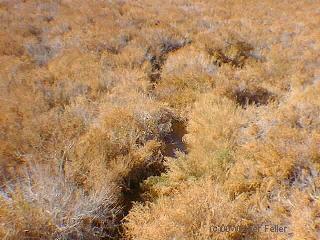 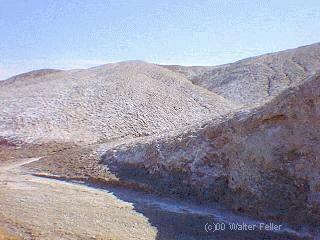 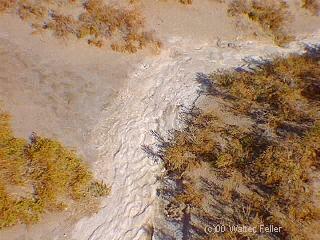 Salt and alkalai ice the dry creeks and tributaries.